Bollywood superstar Salman Khan is an inspiration not only to his die-hard fans but also to millions of fitness freaks who aim to develop a chiseled six-pack body. Even Rahul, the lanky actor who had played Tyson in Shekar Kammula’s Happy Days, idolized Salman and developed six-pack abs. 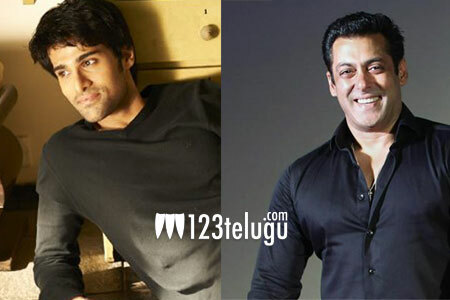 In his latest interview to a popular Telugu news daily, Rahul revealed that he had met Salman through a common friend some time back and was stunned to see the superstar hitting the gym rigorously​for more than 3 hours a day. Rahul then told Salman that he was looking for a personal trainer and Salman himself had arranged a trainer for the young hero. Rahul will next be seen in his macho avatar in his forthcoming movie, Venkatapuram.